Your next cup of tea will take on new meaning after you've viewed this dramatized reading! 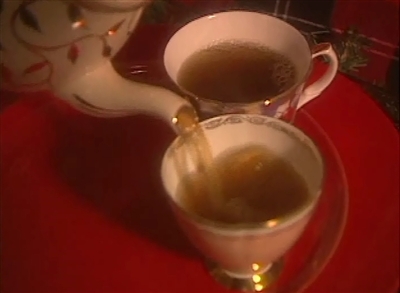 Based on the popular Christmas poem by Tom Hegg (published by Waldman House Press), this video segment recounts the story of a man who rediscovers the aroma of Christmas while visiting--at first, unwillingly-a great aunt he hasn't seen in years. In doing so, he discovers that giving an intangible gift is a Christmas tradition that rewards the giver as much as the one who receives.